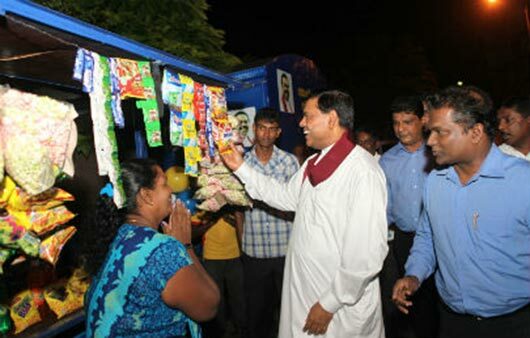 Minister of Economic Development Basil Rajapaksa on the invitation of Thilanga Sumathipala, ceremonially inaugurated the initial step of granting 200 Mobile T-Trucks to Self Employees of Borella Electorate. 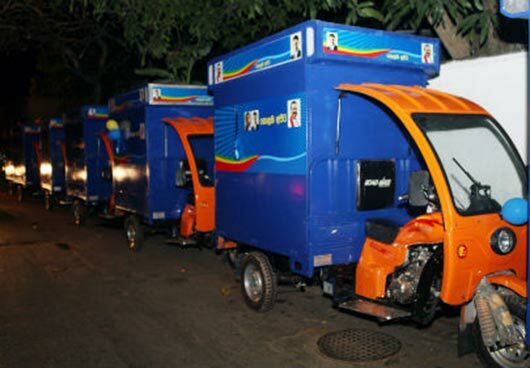 10 Mobile T-Trucks were granted to Self Employees at the inauguration ceremony held on Tuesday (07) at the SLFP Party Office n Borella. 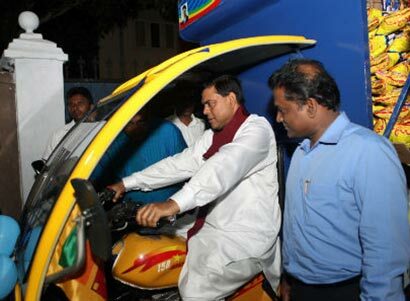 Minister Rajapaksa also distributed the electronic membership identity cards to SLFP Members. This is a good initiative to support small businesses. I hope this vehicle is not imported from India, as I tend not to have any confidence in the quality of Indian vehicles. It looks so vulnerable to strong winds and stormy weather! The men who drive this should have a sense of responsibility to drive it carefully in accordance with traffic code of SL. There is increasing use of mobile phone while driving leading to death and destruction. I understand that they ARE from India. What are you going to do about it? Send them back you wise crack? Remember beggers cannot be choosers. By the way why dont you set an example by showing others how to ride/drive it safely. Remember to put on a an’L’ plate first. You are more than welcome to visit me in Kandy as it is where I live and not a diapora koti/JVP/JAM as you have been inferring. Hope your bed fellow AUJ has not taken permanent leave. I gope these vehicles go to the deserving people and not to the thugs in the area or those who support the minister in the area. I wonder waht the critirea for selection was.They look ok. A better option than the three wheelers (kudas) packed with vegetables and what ever where tha driver can’t even see the raod and certainly an accident waiting to happen. That’s a big environmental disaster. The kuarakkan satakaya clan expects the citizens to travel in this death trap whilst they motor around in bullet proof BMW’s and Bell helicopters. Kumara Mahatthaya, where are you? You are the only redeemer in the horizon. Are you a direct descendant of the Kandyan Royal family? You guessed correctly. Do you want some of my royal blood! Hope to give some to ND to clense the whimp of his high blood pressure. The guy is boiling now. Hope I do not cause any health issues to the chap. AUJ seems to be hiding somewhere. You too are welcome to visit me in Kandy, where we can organise some blood transfusion! Don’t be bother about remaining waste followers of western misbelievers…..
What are you trying to say? At least say it in singhala for me to understand! Last king of Kandy was from Indian Nayakkar family, a petty chieftain from Vellore. Our foolish Sinhala noble families were divided among themselves through petty squabbles and rivalries. So they allowed this idiotic Nayakkar to creep in to rule from Kandy. WHAT AN UTTER SHAME! He was a pschopath who killed many noble families of Sinhala royal bloodline and got down more of the Nayakkar petty clan from India. It was good the British invaders ended his rule! The psychopath was taken in chains to live his last days with his two wives and children in Velore. When he died he was buried there in an unmarked grave. Thank God! The other psychopath Tamil terrorist, VP, also tried to rule the whole of SL ultimately, to create a so-called Tamil ‘nation’ in SL. The plan was to allow millions of Tamils from Tamil Nadu to migrate to SL to be under VP rule. Millions of Sinhalese would have been brutally massacred along with some Muslims, in mass genocide worse than in Cambodia and Ruwanda. Through Divine intervention it was prevented! God raised among us MR and GR brothers to eliminate VP and the LTTE terrorists for good, as the noble Sinhala kings of old from the South did. We owe a debt of gratitude to the wisdom and courage of MR and GR and the heroic Defence forces of SL, for having saved Motherlanka from an impending great doom. No thanks to imperial West, the diaspora Tamils and the TNA and other treacherous evil Tamils in SL. The good patriotic Tamils who formed the majority Tamils in SL deserve credit for joining hands with the Sinhalese and other communities today to re-build SL to be a great nation once again, a UNITED SL, ONE NATION ONE COUNTRY, for the common good. I can’t help laughing when deluded nitwit fool, so-called ‘Udu’ the polmudda/polkudu (as someone labelled him) deludes himself to believing he is a descendent of king of Kandy, may be the usurper tyrant and psychopath Nayakkar petty chief! In that case, he has proved he is a Tamil traitor, a diaspora Tamil! Small wonder he is always writing in support of diaspora Tamils/TNA in their call for a Tamil nation and separatism, and in the same breath attacking the MR family, who saved us from the impending doom of Tamil ‘nation’ in whole of SL. Udu can return to his roots in Vellore then for good and reign from there! A sheer waste of blog-effort and blog-space. I sincerely wish blog-giants like Mr Dias would shed their pettiness and get on with “nation-driving” towrds emancipation. Udurawana is of course, a proven Tamil exile. Just look at the way he writes the word “Sinhala”; he writes it in the tamil way “Singhala”. I sure he would pronounce “bread” in Sinhala as “Paan” and not “Paang” and string hoppers as “Idiyappam” and not “Idiyappa”. 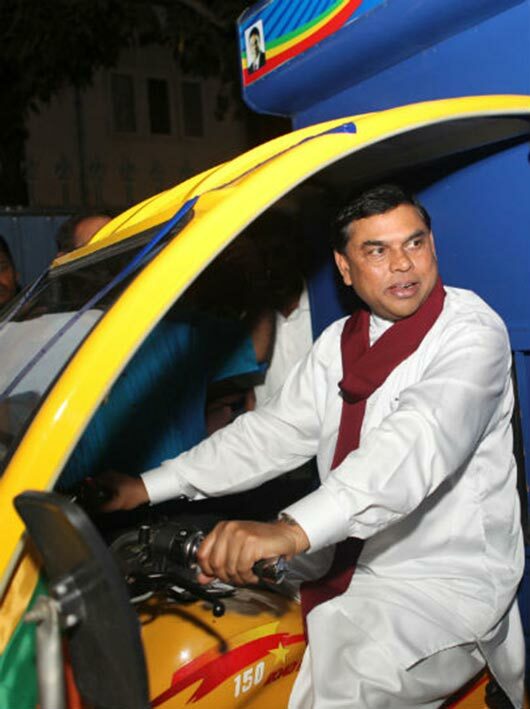 But Mr Dias, leave Udurawana and his ranting aside and join me in nation-driving if you can. I am by virtue of my intellect, destined to drive and you show semblances of an ability to join me in leadership. Hey Udurawana, keep it up, good old boy. Who the hell is this blogger ‘Arap Karma’? It is certainly not a SL name! It is definitely a false name. The blighter is hiding behind a psuedonym/acronym as he is a coward to use his real name. The fellow who called himself ‘Pora Dias’ I proved him to be actually a diaspora Tamil, which he admitted himself, when I exposed his name to be actually the word ‘DIASPORA’ with the letters re-arranged. In like manner, if you re-arrange ‘arap karma’ you get ‘parakrama’. Why the hell can’t he then call himself ‘Parakrama’? This blighter, who I shall in future refer to as ‘Parakrama’, has got one thing right i.e. ‘Udu’ (the ‘polmudda’ as someone called him) is really a diaspora Tamil hiding under a Sinhala-sounding name he invented himself. I fell about laughing when he even deluded himself to be descendent of king of Kandy. Naturally, all kallathonis must be related to that nayakkar psychopath, including VP, the terrorist leader, who is now stoking up the fires in hell. As for ‘Parakrama’, the vainglorious buffoon writes, “I am by virtue of my intellect, destined to drive..” I suppose he is destined to drive meeharak (buffalos). As for being a ‘national leader’ of the stature of Hon MR, you have not a miniscule of intellect you meeharaka. Better stick to being a meeharaka! That way you will be of some use to farmers at least. This T-Truck does appear to be of very flimsy construction. If they are from India, like the Bajaj 3- wheelers, then I am afraid it is a waste of money for anyone foolhardy enough to buy it. So, Thilanga S is welcome to gift them to all the self-employed small businessmen/women around the country and not just in Borella, out of his generosity/magnanimity. I hear that he is loaded. How did he make his money I wonder? How wise of the Nakiya ND to have exposed you. The geriatric still seems to have some juice in his balls unlike AUJ who it appears has called it quits. You fraud, how dare your call me a diaspora tamil even after offering to give a pint of my Kandyan royal blood to you! I withdraw my offer to you and instead I might as well give it to ND to nurish his delinquent seniles brain. Are you with MR & Co or with the rest. You comments about them are like a pendulum, not staedy. May be your senile brain is packing up. I can offer you a pint of my Kandiyan royal blood now that Arap has missed his opportunity. Oh you wise old man try breaking the code of Olit Nibera. I have been breaking my head for a while now. If you do I will quit this site altogether and leave you and your MR arse licking pals to run the show. I promise.